Home » » 2018 NBA ELECTIONS: Corporate Governance & Leadership profiles of the Presidential Candidates. 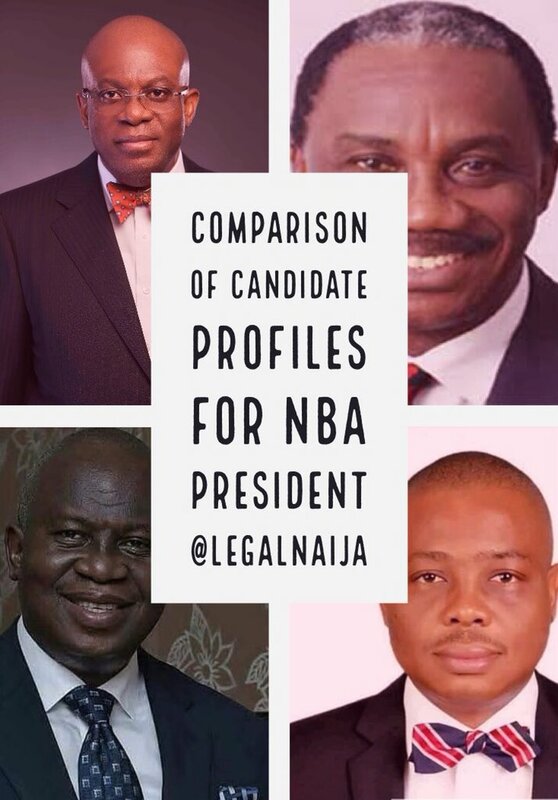 2018 NBA ELECTIONS: Corporate Governance & Leadership profiles of the Presidential Candidates. This is the 5th post in our series on the comparison and qualitative assessment of the 2018 NBA, Presidential Candidates. Our comparison has been based on the profiles of the candidates as provided online, though some of these profiles were silent on certain criteria which we have used for our comparisons, we have stated same where applicable. 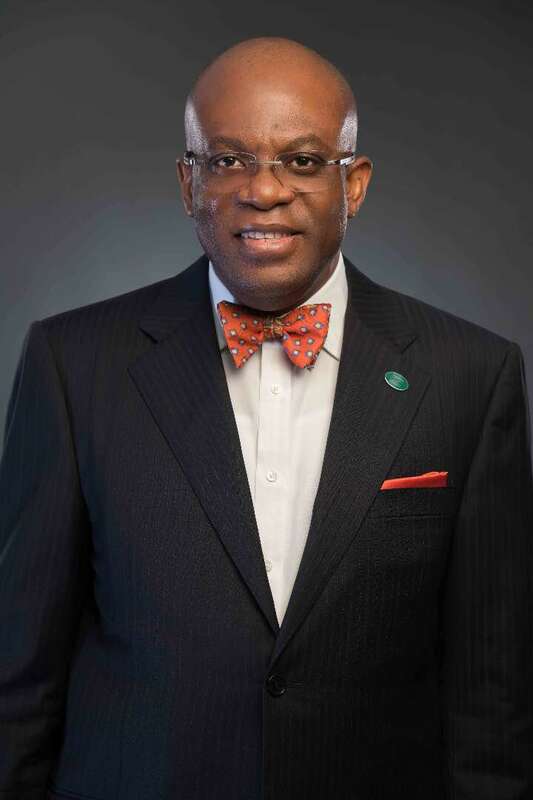 Please note that you can view the complete profiles of all the Presidential candidates, you may find same via this links; Mr. Paul Usoro, SAN, FCIArb; Prof. Ernest Ojukwu, SAN; Mr. Arthur Obi Okafor, SAN FCIArb and Mazi Afam Osigwe, LLM, FCIArb. Our first post examined the Background of the Candidates; the second examined their contributions to lawyers welfare and law reforms; the third had a look at their respective NBA Activities; while the fourth examined their Advocacy and Practice Skills. The choice of the most preferred candidate to lead the Bar is critical to national development and also to the welfare of legal practitioners. Such member of the Bar must be the best man for the job. Therefore, study carefully our comparisons of the profiles of these aspirants and pick the best man to lead the Nigerian Bar Association. You may also download the full report here. g. Access Bank Plc, one of Nigeria’s leading banks. 2. Paul is a pioneer director of Airtel Nigeria Limited, Nigeria’s leading mobile telephone company, having been appointed to the Company’s Board in 2001, then known as Econet Wireless Networks Limited; the company has over the years undergone major ownership and structural changes prior to being acquired by Bharti Airtel of India in 2010. Paul was the only pioneer director of the company that survived the several changes in ownership of the company until his resignation in February 2018.
a. Chairman, Board of Marina Securities Limited. b. Chairman, Access Bank Plc Board Remuneration Committee. 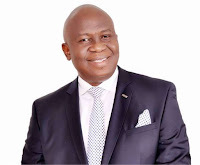 c. Chairman, Access Bank Plc Board Governance & Nomination Committee. d. Chairman, PZ Cussons People & Governance Committee of the Board. g. Member, Access Bank Board Risk Credit and Finance Committee. h. Past Chairman, Airtel Board Audit Committee. i. Past Chairman, Premium Pensions Limited Board Audit Committee. j. Past Chairman, Nigerian Bulk Electricity Trading Plc Board Audit Committee. 4. On 22nd February 2018, Paul was awarded the Corporate Governance Rating System (GCRS) “Rating Certificate” by the Board of the Nigerian Stock Exchange and The Convention on Business Integrity. The award of the Rating Certificates was in recognition of Paul’s excellent scores in the Fiduciary Awareness Certification Test (FACT) of the CGRS administered to directors of Access bank as part of the CGRS certification exercise in Nigeria. 6. President, Law Society, University of Ife. 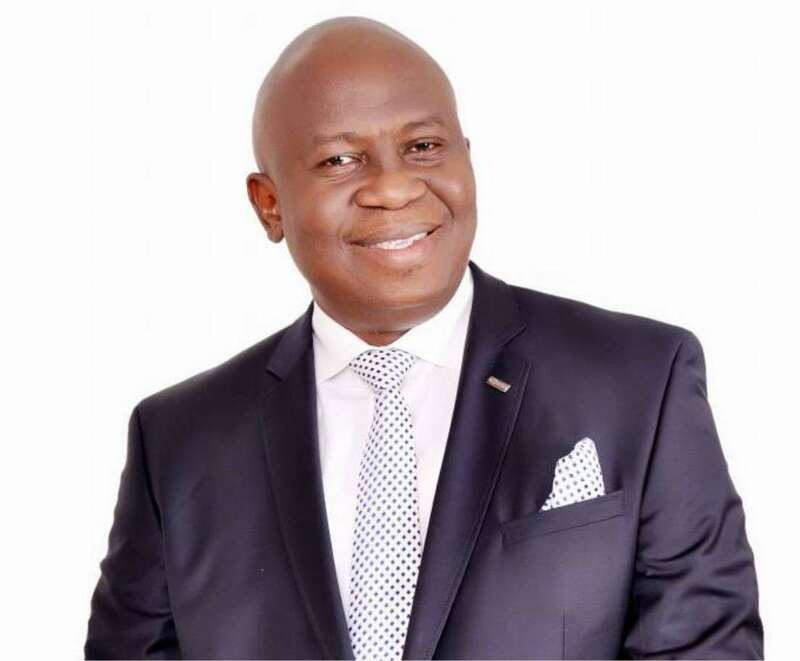 Even at a young age, Paul contested for and won the Presidency of the Law Society of the then University of Ife, (now OAU) becoming the first student from Nigeria’s ethnic minorities as at that time to occupy such office. 2. President, University of Calabar Alumni Association, Onitsha Chapter (2003 – Present). 3. Member, Defunct Idemili Local Govt. Town Planning Authority, Anambra State 1995. 4. Member, Idemili South Local Government Town Planning Authority, Anambra State. 5. An Assessor with the Delta State Multi-Door Court House for listing Arbitrators, Mediators and Conciliators. 6. Author and co-Author of Law Books. 1. 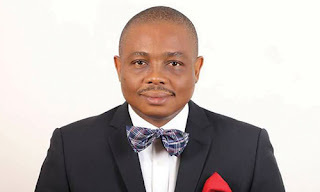 Chairman of NBA Abuja Branch, December 2010 to December 2012. 2. Editor-In-Chief of the Unity Voice (the monthly newsletter of NBA Abuja) from 2011-2013. 3. He is also the Company Secretary/ Legal Adviser of many companies.